Erykah Badu is joined by Janelle Monae and ?uestlove at Roseland. 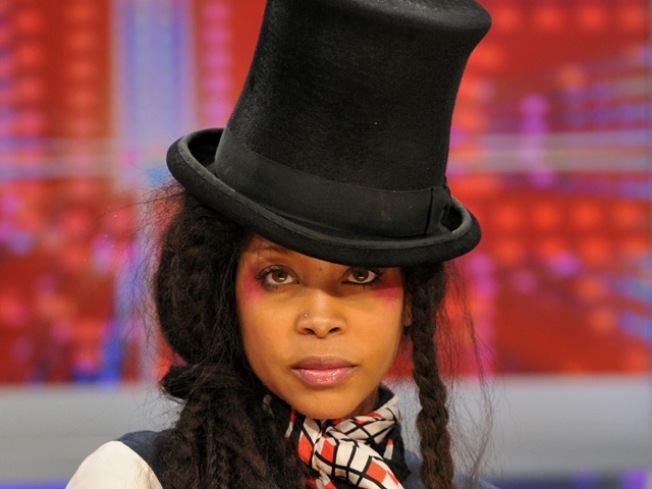 THREEFER: Erykah Badu: High priestess of mellow afri-funk. Janelle Monae: Arguably a potential heir to the throne of rock-pop-fun badassery currently semi-occupied by Prince. They both come to Roseland Ballroom tonight, and if having these two talented ladies on one stage isn’t enough, ?uestlove joins in too. No idea what he’ll be doing—DJing? Drumming? What?—but we don’t care. 8PM. DIVINE: Cult auteur and proud nemesis of good taste John Waters has a new collection of essays out, called “Role Models”—wherein he lauds those who inspired him (including Johnny Mathis)--and he’ll be at Bryant Park’s Upper Terrace with the NYPL’s Paul Holdengraber discussing the book and the people in it tonight. 8PM. PANNING FOR GOLD: At the 2nd Annual Paella Parade, chefs and restaurateurs compete to satisfy the hungry public with their paella skills. Also, the event’s sponsored by El Coto de Rioja, so that’s what you’ll be drinking, and finally, the WaterTaxiBeach at South Street Seaport stands in for the Med. What’s not to love? (Proceeds to benefit Action Against Hunger and NYCity Tech.) 6PM.